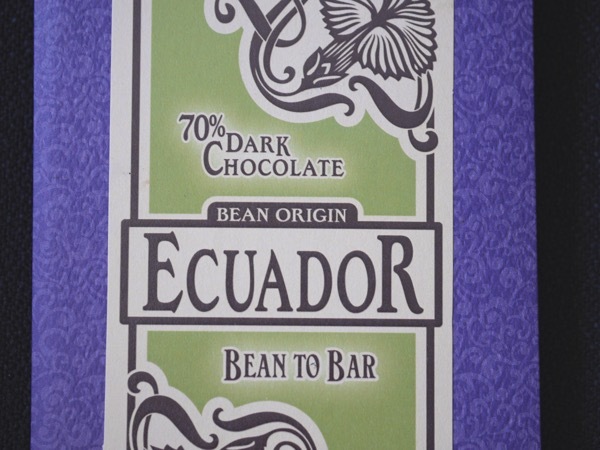 Welcome to Day #3 of Ecuador Chocolate Theme Week, and the countdown to Chocolate Banquet's 10-year anniversary (Sept. 11). 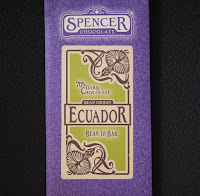 Spencer Chocolate is a brand that belongs to Annie's Goodies...Naturally LLC (Portland, OR). Spencer is the name of the chocolate maker/owners' rescue dog, a black and white border collie. 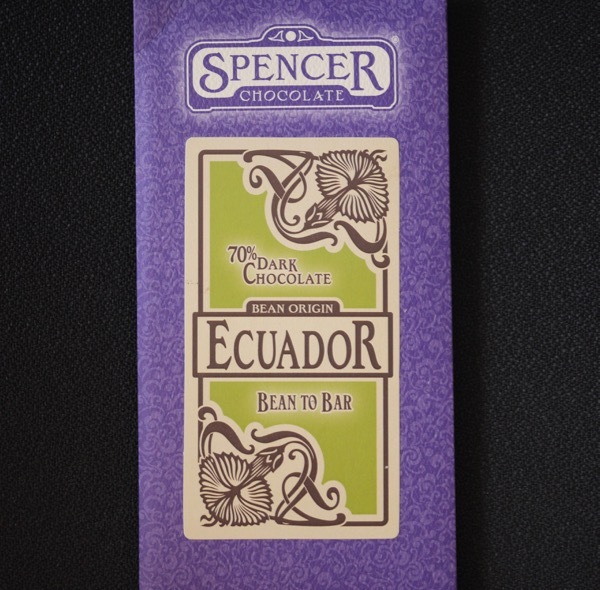 Today's Spencer Chocolate 70% Dark Chocolate Ecuador bar had just three ingredients: cacao, sugar and cocoa butter. 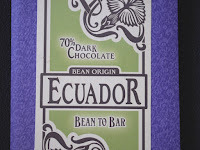 This is what I've come to expect from high-quality craft or bean-to-bar chocolate. Just the basics, and nothing else to hide behind. A gutsy thing to do, really, since so many things can go wrong when making chocolate from scratch. On the other hand, when it works, it's a matter of well-deserved pride. This well-tempered bar had a chocolatey aroma with very subtle hints of green*. 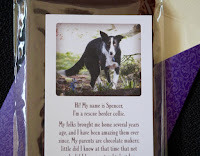 The texture and melt was uniform, as was the fairly sweet, dark chocolate flavor. The bar had a clean finish. *Green is a difficult flavor to describe with chocolate. It's not unpleasant. And, it's not unusual to see this in tasting notes for Ecuadorian cacao. It's not green wood, grass, forest or botanical, but somehow evokes some blend of these at times.